We are now ready to move on to a new way of communicating with the online community at large as well as students of Shri Anandi Ma. 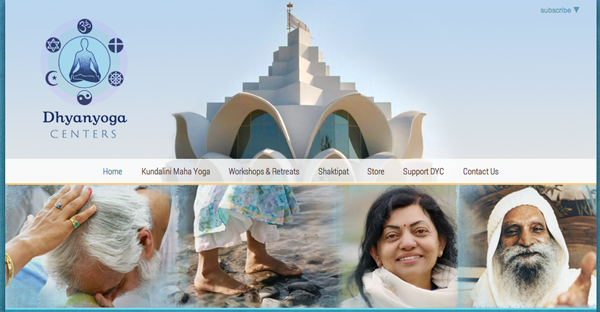 All of the articles, personal experiences, satsangs, and program information you’ve been finding in Shakti Online—plus much more—will now be part of the new and beautifully designed website, www.dyc.org. Our mission is the same as it was from the very start: to bring the inspirational words of our teacher to all interested devotees and to keep everyone current on upcoming DYC events, retreats, and public programs. With the Internet and the growing number of DYC events that are webcast, we have the opportunity to expand that mission to include seekers globally. The new website is the perfect place for this outreach. The Upcoming Events, Workshops & Retreats, and Upcoming Webcasts sections contain Anandi Ma’s complete schedule, and you have the ability to register for events online. For the next couple of months, during this transition, you will still be able to log in to Shakti Online and find the full archive of Ma’s talks, satsangs, and other articles on yoga. 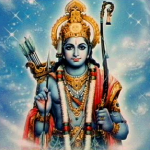 If there are certain things that you would like to make sure you can find easily, you might want to take this time to download or print posts such as the tithis used for practices or the text of Rama’s Heart. Finally, we will continue to send out the monthly email alerting you to new articles uploaded to the www.dyc.org site. We thank you for your enthusiasm for Shakti Online over these past few years and hope that you continue to stay connected with Anandi Ma and Dhyanyoga Centers through the new website. We know that you’ll enjoy all that it has to offer. But you have to understand that just being able to meditate or having a vision is not everything. Also watch out for the changes that have occurred during the course of your life since you started the practices. Has your fear lessened? Has your anger lessened? . . .
Devotee: I have a hard time motivating myself to practice simply using my mind and will power. It’s much easier when it comes from my heart, but I can’t force my heart to motivate. Do you have some words about the movement from the mind to the heart? Shri Anandi Ma: Both are essential . . .
To celebrate Hanuman Jayanti last month, Shri Anandi Ma led the chanting of 108 Hanuman Chalisas at the DYC Center at Antioch, CA. A large group of devotees joined the onsite event but there were also many others joining via webcast. The following experiences from people living in the Boston area give a true sense of how powerful the webcasts can be. Kundalini can be activated through any of the yoga practices, including mantra repetition, meditation and even hatha yoga. However, awakening the kundalini is one thing; taking it to the deeper levels is where meditation comes in..
Who is not a householder in this world? Your mind should be pure. It is not necessary to renounce the world in order to have realization. A lot of love and effort have gone into the redesign of DYC.org. Check it out. The 2013 schedule is here. Now you can register online!